Join this four-day trip to visit scenic spots and minority area in Honghe, Yunnan. You will discover sources of famous Yunnan snack and the south financial center in ancient time. 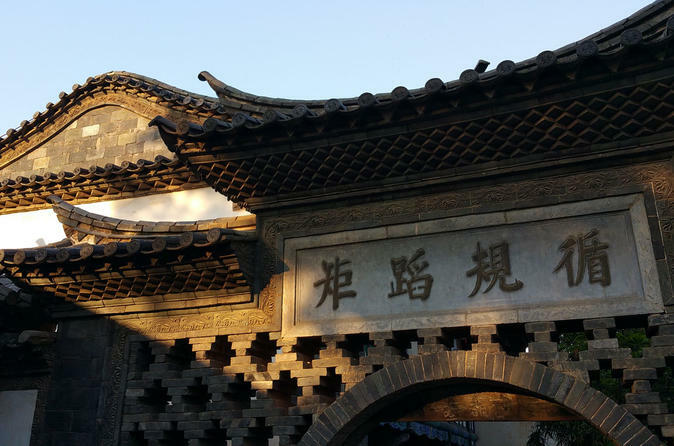 After exploring attractions such as Yi Long Lake, Tuan Shan Village, Confucius temple, and Jiuxiang Cave, you will better appreciate why French stepped into southern part of Yunnan province. 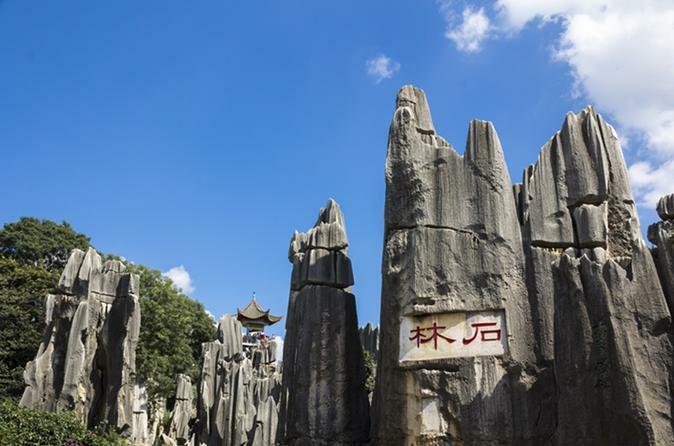 Visit classic attractions in Kunming on this 5-hour tour. Join a small-group of no more than 10 people to explore sites such as the Grand View Tower and Yuantong Temple. Stroll through the bustling Flowers and Birds Market with your guide after tasting delicious Chinese lunch at a well-known local restaurant. 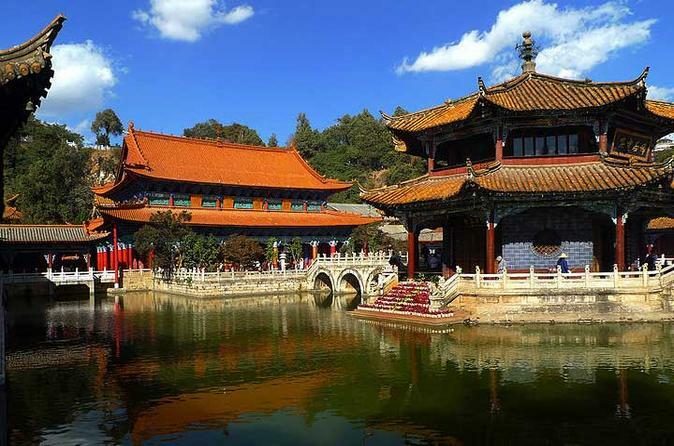 Kunming is called a Spring city in China as its climate is mild year round, and the attractions of Kunming are very distinctive, the beautiful terraces in minority ethnic villages, old Chinese style architecture, and the stone forest that you cannot find anywhere else in the world. 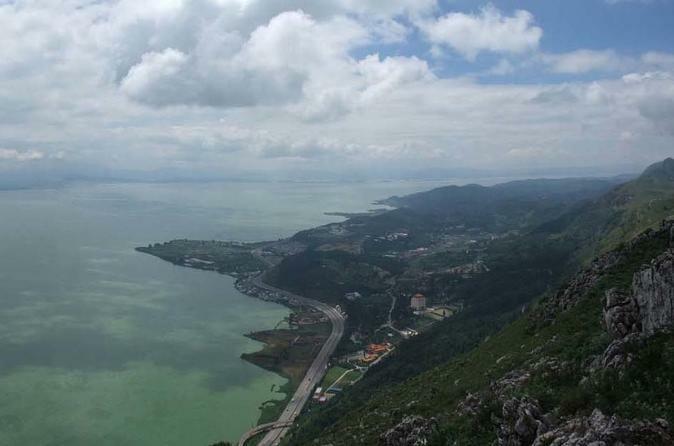 Kunming is also the provincial capital of Yunnan, which means “south of the clouds” in Mandarin. It is China’s most geologically diverse province that offers travelers contrasting variations such as tropical lowlands in the south bordering Laos and Burma as well as the majestic Meili Snow Mountain reigning near Tibet border in northwest. There are more ethnic minorities call Yunnan province home than any other provinces in China (25 out of 56 ethnic minorities). Three UNESCO World Heritage Sites and the deepest river canyon in the country (Tiger Leaping Gorge) are also located in Yunnan. 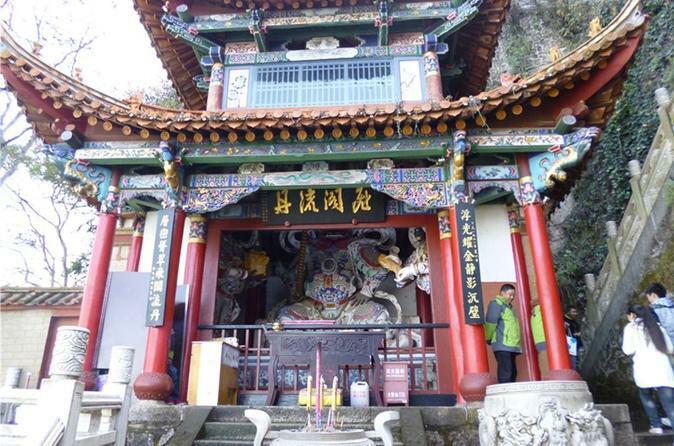 This half-day private tour takes you to Yuantong Temple located on the skirt of Loufengshan Mountain which is also known as Yuantong Mountain near downtown Kunming. 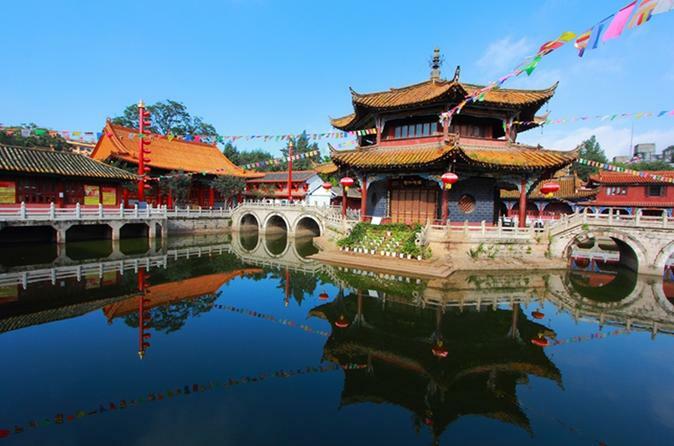 The temple bears a long history of more than 1,200 years and is considered as the grandest and most important Buddhist temple in Yunnan Province. Continue to the Western Hill which resembles a reclining girl lying along the shore of Dianchi Lake with her long hair flowing down into the lake. 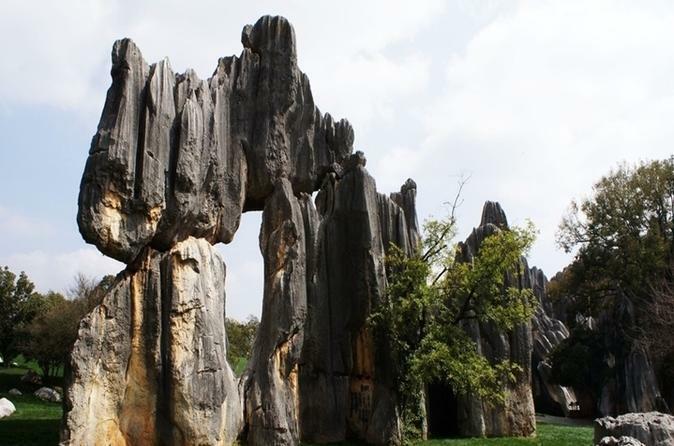 Join the full-day tour to explore the splendid Stone Forest that was due to the millions of years’ movement of the Earth. You can walk around various stones and also explore the local customs. Private transfer, personal English-speaking guide, hotel pickup and drop-off and lunch are all included.